Animal Crossing: Pocket Camp is due for a new update next month, and it’s bringing some previously promised features that have been missing from the app game. If fetching fruit and bugs for villagers is becoming a little monotonous, you’ll be happy to hear more activities will be available soon. 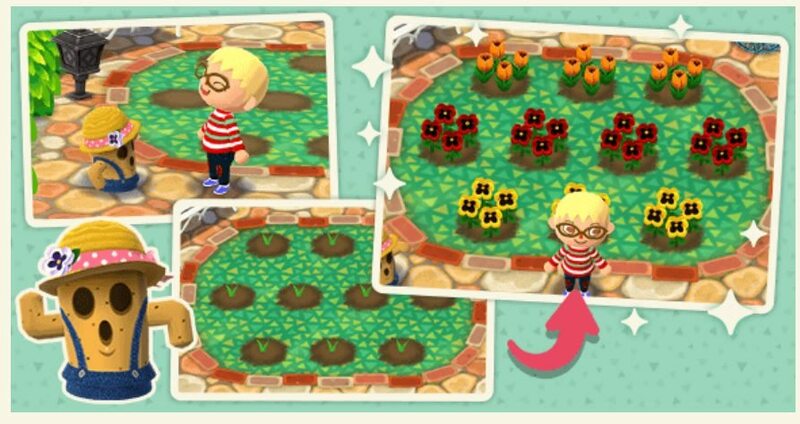 The update, which is coming in January according to Animal Crossing UK’s Twitter, is adding a garden area to your campsite, pictured below. Unlike other Animal Crossing games where flowers are fully grown as soon as you plant them, flowers in Pocket Camp will grow over time as they’re watered. You can even help your friends with their gardens! The approaching update will also add clothes crafting, which has been listed as “coming soon” in the app game since launch. So far players have only been able to purchase clothes from the Able Sisters, who offer three pieces of clothing a day. After the update, you’ll have the ability to use resources to craft dresses, tops, bottoms, and shoes with the Able Sisters in the same way you currently craft furniture with Cyrus. Check out the teaser image for clothes crafting below. If you’re looking for new content now, Animal Crossing: Pocket Camp has started a timed event called Friend Frenzy, which is now listed in the app under Timed Goals. Friend Frenzy rewards you with highly valued Leaf Tickets for adding certain amounts of in-game friends to your list. The event runs until December 21st, so start rounding up your friends ASAP! For more information on the update, head to the notification center in Animal Crossing: Pocket Camp, where a new cat villager was also teased. My heart hopes it’s my favorite lazy purple kitty Bob, but it is likely Mitzi, who was found in a recent data mine of the game.